I've had the opportunity to bring another wonderful radio from Ten-Tec into the shack. The Ten-Tec Eagle. The Eagle is NOT a feature laden radio and using it is a bit quirky. There are no menus on the Eagle. The dual-function buttons you see are what you get. The multi-knob allows adjustments for the various functions. What it does have that is so common with the Ten-Tec line of radios is absolutely wonderful sounding audio and beautiful full QSK with no strange audio artifacts at full-break-in. It is a pleasure to work weak stations. This particular radio has three 4-pole filters for the IF at 2.4kHz, 600Hz and 300Hz. They are automatically selected as the dedicated bandwidth knob is adjusted, resulting in smooth and clear filtering of CW stations. 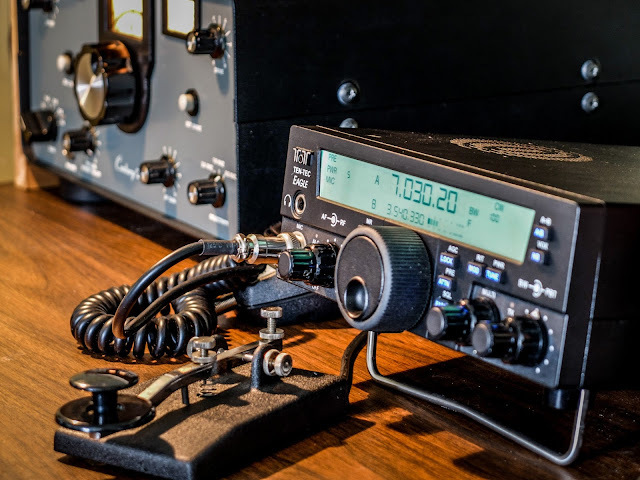 I also have a Elecraft KX3 and while it has similar receiver specifications, listening to weak CW with it has a lot of digital artifacts that are not present on the Eagle. I can work a weak station with the Eagle and not be fatigued at the end of the qso. It also has a nice ATU capable of matching up to 10:1 SWR antennas and of course supports SSB. It covers 160m-6m and can do FM if the 15kHz filter is installed. The solar conditions have been extremely poor over the past week that I've used the rig and are likely to be this way for a few years to come. It's nice to have a rig that makes these poor conditions still enjoyable. If you love CW do yourself a favor and try a Ten-Tec. 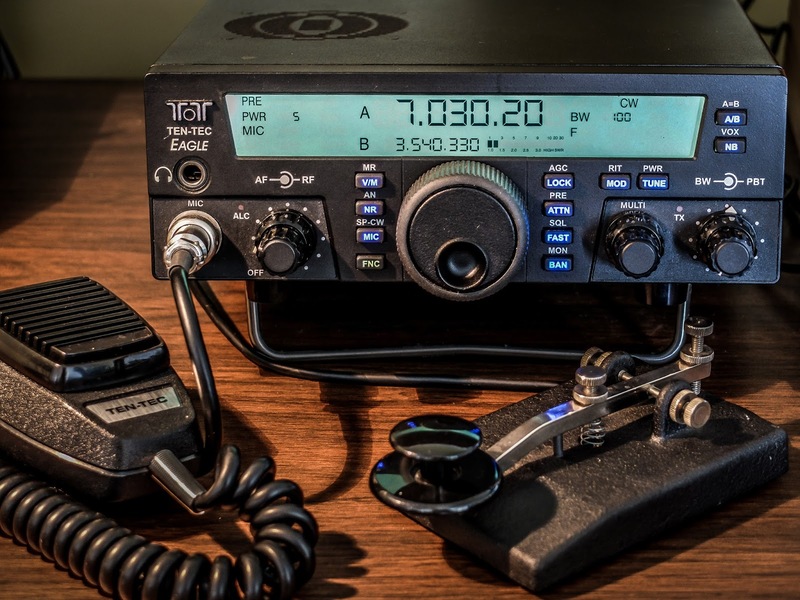 They are pricey compared to other rigs and they do not come close competing on price-per-feature but Ten-Tec receivers make for amateur-radio bliss.